Amino acids naturally occur in protein, which helps to build and repair new muscle1 — super-important for all fitness goals. Our improved formula delivers a superior blend of essential amino acids, with zero calories and zero sugar — plus it's totally vegetarian and vegan-friendly. Your body can’t make essential amino acids itself, so they have to come from your diet — and this shake is a super-convenient way to do that, no matter what your dietary choices are. 1. Essential amino acids are components of protein which contributes to the growth and maintenance of muscle mass. When to take Impact EAA? Add 3 scoops (9g) to 300ml of water in a shaker and enjoy as a refreshing pre-, intra- or post-workout drink. What does Impact EAA work well with? May contain milk, soy and gluten. Unflavoured: Essential Amino Acid Powder Blend (L-Leucine , L-Lysine, L-Isoleucine, L-Valine, L-Threonine, L-Phenylalanine, L-Tryptophan, L-Methionine, L-Histidine). 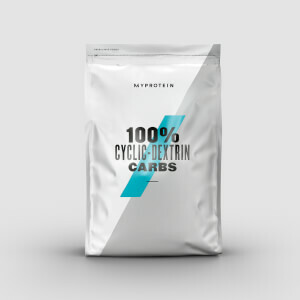 Tropical Flavour: Essential Amino Acid Powder Blend (L-Leucine, L-Lysine, L-Isoleucine, L-Valine, L-Threonine, L-Phenylalanine, L-Tryptophan, L-Methionine, L-Histidine), Acid (Citric Acid), Flavouring, Sweetener (Sucralose), Curcuma Oil Extract (Antioxidants (Ascorbic Acid, Alpha-tocopherol). Strawberry and Lime Flavour: Essential Amino Acid Powder Blend (L-Leucine, L-Lysine, L-Isoleucine, L-Valine, L-Threonine, L-Phenylalanine, L-Tryptophan, L-Methionine, L-Histidine), Acid (Citric Acid), Flavouring, Beetroot concentrate, Curcuma Oil Extract (Antioxidants (Ascorbic Acid, Alpha-tocopherol)), Sweetener (Sucralose). Cola Flavour: Essential Amino Acid Powder Blend (L-Leucine, L-Lysine, L-Isoleucine, L-Valine, L-Threonine, L-Phenylalanine, L-Tryptophan, L-Methionine, L-Histidine), Flavouring, Acid (Citric Acid), Apple Extract, Sweetener (Sucralose). *The nutritional information is based on the Unflavoured version, when choosing an alternative flavour the nutritional values may vary. Ready-to-mix, essential amino acid powder. Unflavoured Food Supplement. Ready-to-mix, essential amino acid powder. Tropical Flavour Food Supplement with Sweetener. Ready-to-mix, essential amino acid powder. Strawberry and Lime Flavour Food Supplement with Sweetener. Ready-to-mix, essential amino acid powder. Cola Flavour Food Supplement with Sweetener.